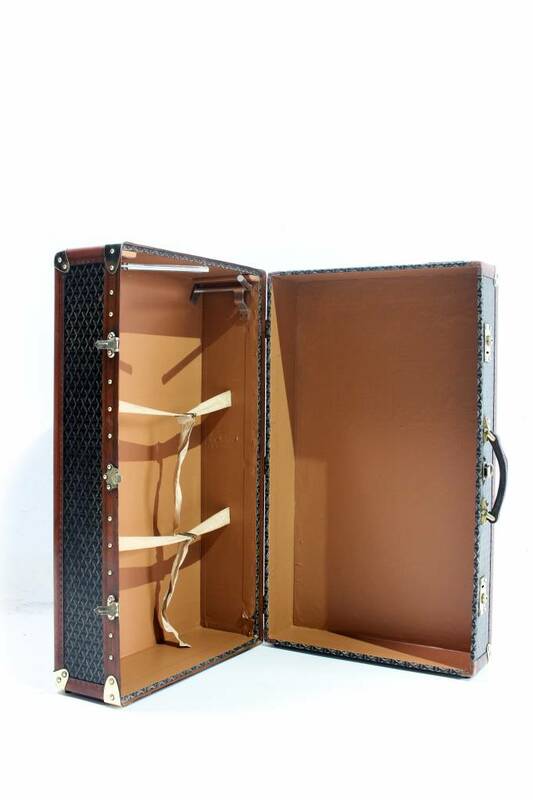 Unique Goyard wardrobe from the 1920s. 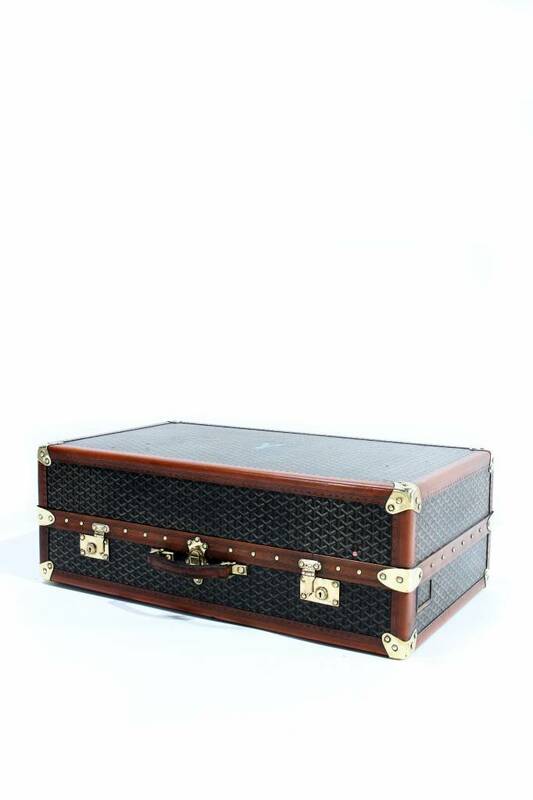 This suitcase is very sought after and sought after worldwide. 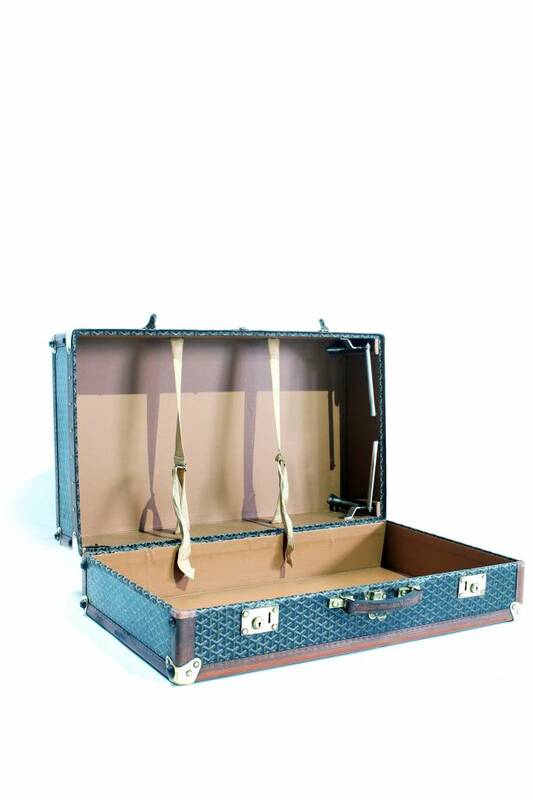 Maison Goyard, known for his suitcases & leather goods! 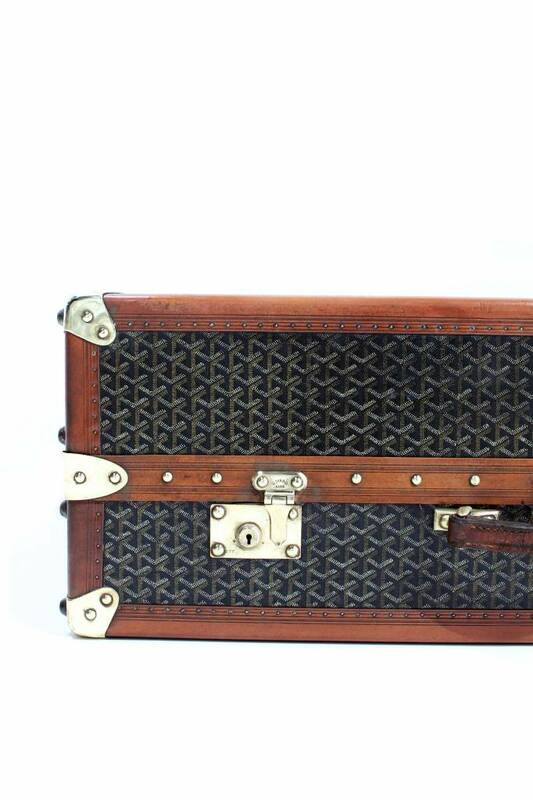 The Goyard brand started in the year 1853, a year for Louis Vuitton. The brand is known for its secrecy. 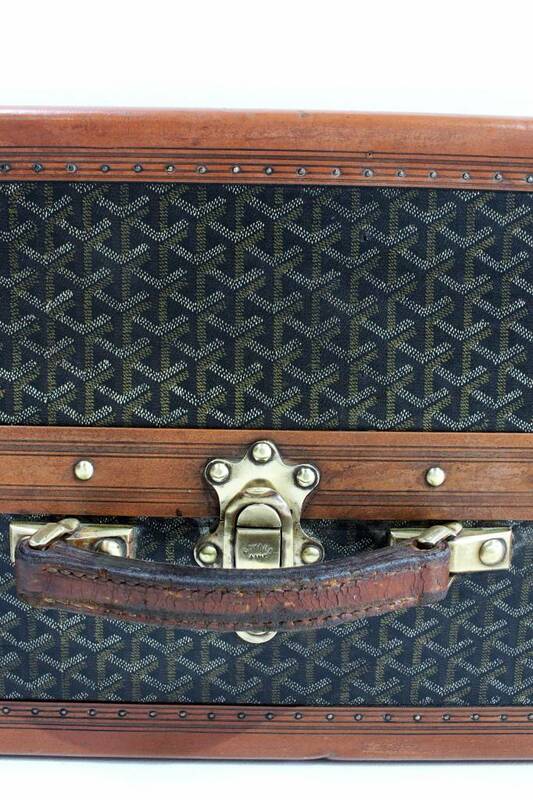 Goyard did not make self-promotion, no advertising and no e-commerce. They kept themselves in the background and that makes them just as exclusive and wanted. They refuse interviews and have 3 traditional crafts, namely making boxes, making luggage boxes and packaging. After the 2nd World War, queens from Yugoslavia & Greece became customers of the brand. 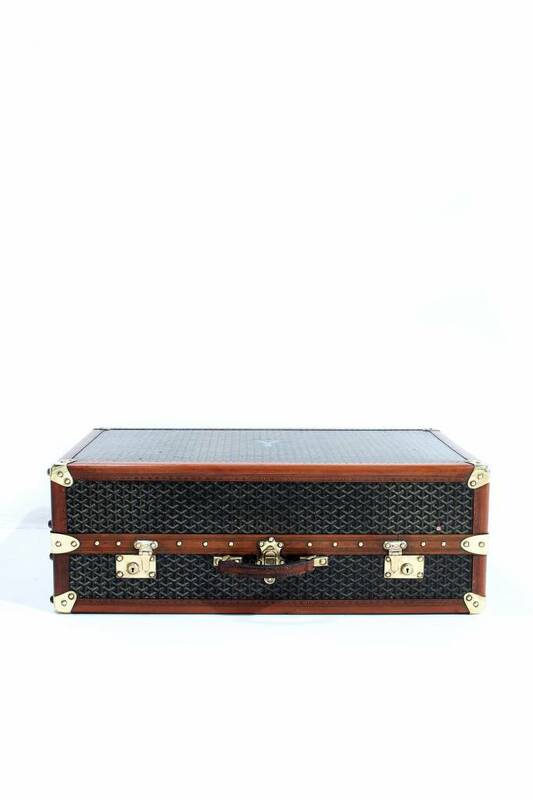 Later we saw Catherine Deneuve & Edith Piaf also pass regularly with a Goyard handbag & suitcase. 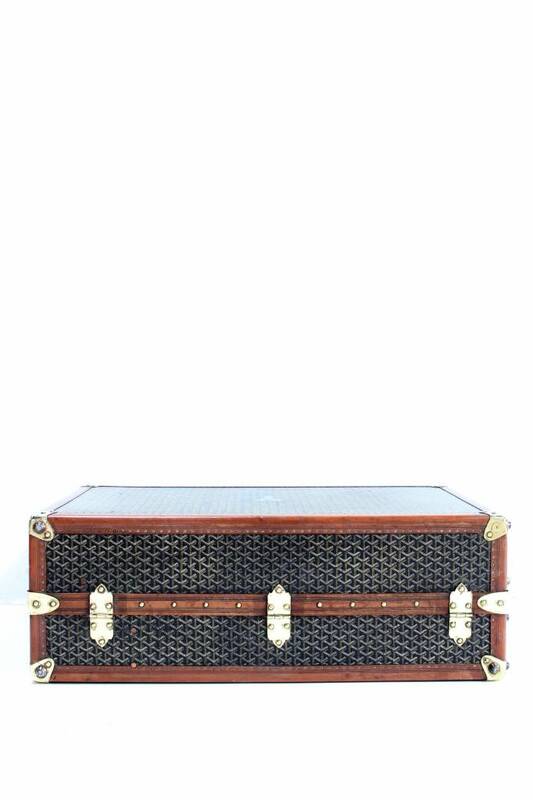 To this day, Goyard is a very recognized and luxurious fashion brand. 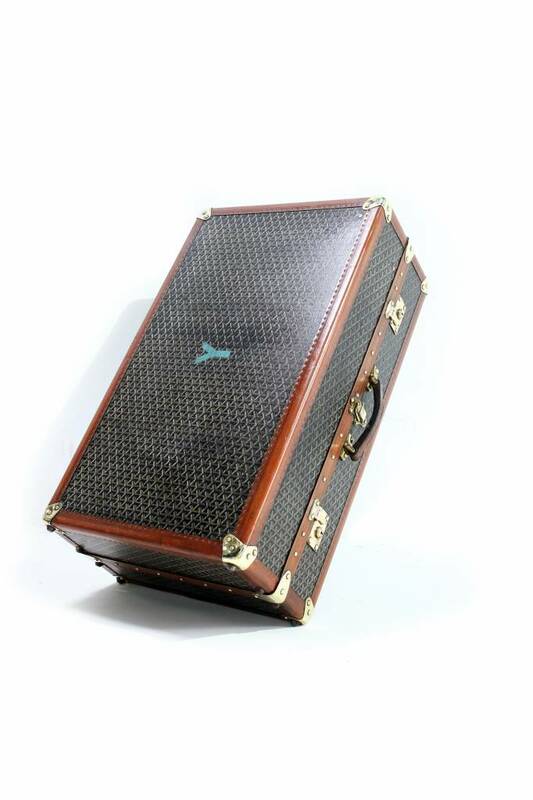 The old suitcases are, like Louis Vuitton, very rare and certainly in this state. 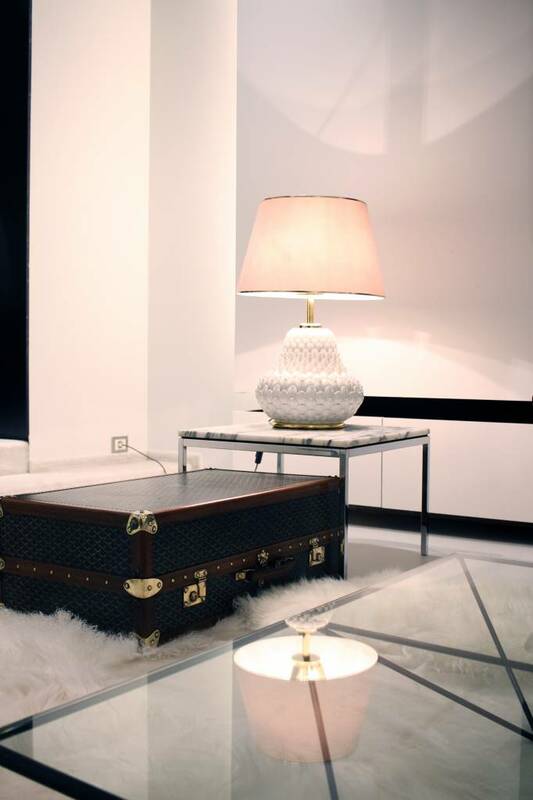 The suitcases are also used decorative in the interiors because it radiates class and prosperity. 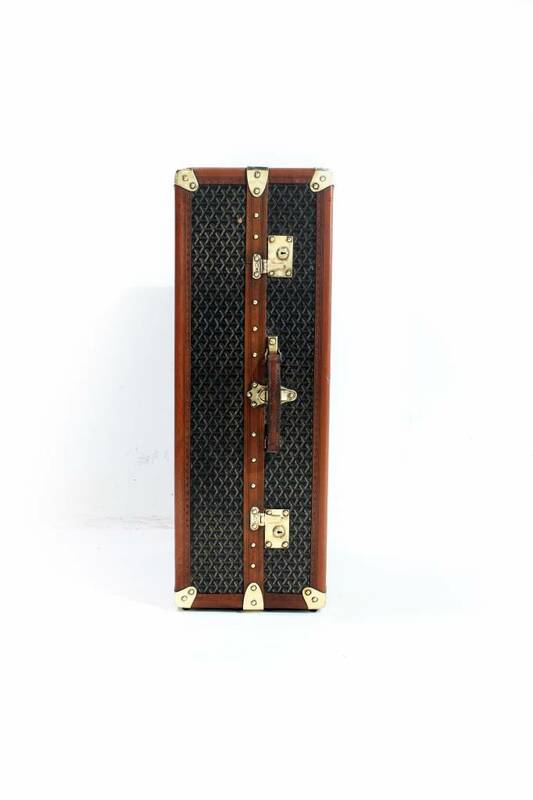 This extremely beautiful suitcase also has a function as a wardrobe to store clothes.